Wow. I literally just finished this book and I have all the thoughts. Many many thoughts. Thoughts about how good this was and how it could have been improved. Thoughts about how I loved the female protagonist and only sorta liked the male protagonist for most of the book. Mostly I have thoughts about the number of fandoms present in this book: Doctor Who, Sherlock, Supernatural, Sailor Moon, and possibly more that I'm forgetting. With the exception of Sailor Moon, sorry, Nicole, but I never could get into that one, I am right there. Although I've never seen Sherlock (bad, geek that I am), I get why it is popular. Tessa wants to be a coder and to have the respect that the male coders have simply because they have the right genitalia. She hates having to crack that glass ceiling, but that's the world she's living in and she doesn't see any way out of it. Then, she meets some new friends, propelling her out of her Netflix nights and into a new project that could change her life for good. A year after being dumped by his ex, Adam is still hung up on her. He likes Tessa and thinks she's got skills, but he's never seen her as anything more than his roommate and coworker. Suddenly, he's more attracted to her than he's been to anyone in a long time. The problem? Tessa is ambitious and he's already been burned by one woman who put her career ahead of their relationship. He doesn't want to go down that road again, but as the attraction he feels for Tessa grows, he might not have a choice. Three weeks ago, I was listening to the DBSA Podcast and SB Sarah and her guest, Bree Bridges, were squeeing over this book and I knew that I needed to read it. Of course I was in the middle of Alone in the Dark and then went straight onto Brotherhood in Death, so I had to wait before getting into Level Up. It didn't help that I started a new job (yay!) last week. I started this book last night and though it took me about a half hour to get into it, I soon didn't want to put it down, mostly because I loved Tessa. She's every geek girl I've ever known. Adam is alright, but as I said above, I only sorta liked him. There may be people out to get me over this, but I think he was a little sexist. For instance, after his friends bugged him to start dating again (he moped around for a year after his ex dumped him), he grudgingly created a few dating profiles online and the woman he wanted was basically a pretty piece of arm candy, who only wanted to take care of him. Totally boyfriend material right there. He does get better, but it only happens once he realizes how he feels about Tessa and sees what she goes through in order to get their male coworkers to even pay attention to her. I like that he was willing to defend her to the other engineers when they started giving her a hard time, but what I liked even more was that he was willing to let her fight her own battles. Yes, she had to explain to him why that was important, but once he understood, he didn't go all macho lunkhead and step in when she didn't want him to do so. While I really did like this book, I find some of the things that happened in it to be completely unrealistic. First of all, Tessa is supposed to be severely shy (her only friend was a girl she skyped with and Adam, although he was mostly just her roommate), but suddenly she's the most popular girl ever after a group of friends just drop into her lap. Has that ever happened to anyone? I'm not exactly the friend having type, unless you count internet friends, because those I have, and never have I ever found myself with a ready made group of friends and I'm pretty certain that every girl (or guy) that has felt like an outcast would agree with me. I mean really. Then, there is the whole thing with the game. I'm not going to spoil it (you're welcome, Sweeties--what, did you think I was going to make it through a review of something with Fandom in its title without making a River Song allusion? ), so I won't get into what happened, but that would never happen. Ever. My last gripe is about the editing/formatting of this book. They were pretty bad, especially the formatting. Sections are supposed to be separate. It makes things much easier on the reader. While reading there were several times that I had to go back to make sure I didn't miss something because suddenly it would be days later or narration would jump from Tessa to Adam. It was jarring and annoying. Not enough to stop me from reading, but it was not good. As for the editing, there were whole sentences that didn't make sense. The words were so jumbled it was as if an Aphasic person was dictating them to Siri. Luckily, this only happened a couple of times, but it was enough to make me wonder if I was suddenly Dyslexic at the age of 29. It was weird. I think what I enjoyed the most about this book was searching for all the little fandom things. I smiled so wide at the Jensen and Jared line that I could have been mistaken for the Cheshire Cat. Don't get me started on Tessa drinking from a Doctor Who mug in the very first scene because I was sitting there drinking out of my Doctor Who mug as I was reading that. A big part of what made it so much fun to pick out the references was that none of the characters thought it was weird that women liked science fiction or video game. 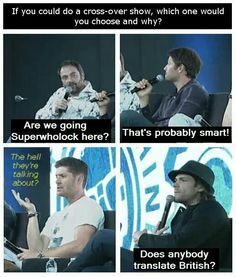 I loved that the stylish Stacey was a SuperWhoLockian and that no one said anything about the fact that she and Tessa had a whole conversation about it. Adam was a bit confused, but he didn't think less of either of them because of what they liked to watch. 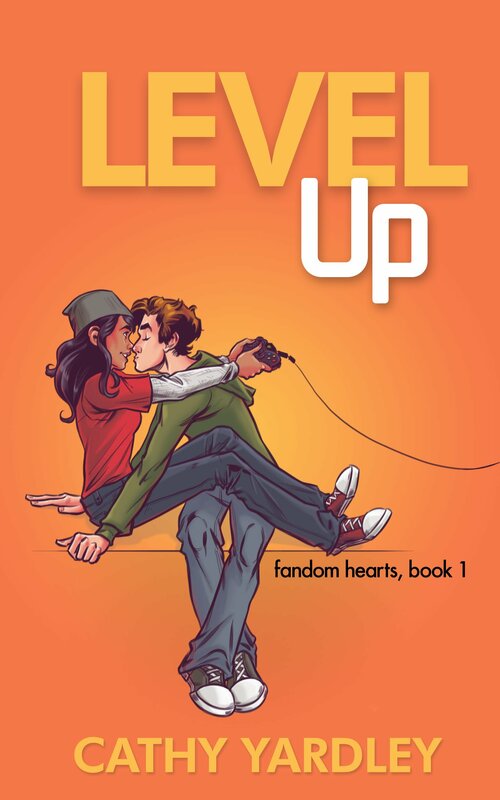 Level Up was a quick (about 150 pages), fun, and light read. It was exactly what I needed and I'm looking forward to seeing where this series goes.